Most of the fruit on plums is borne on short spurs located on wood that is 2 to 3 years old. 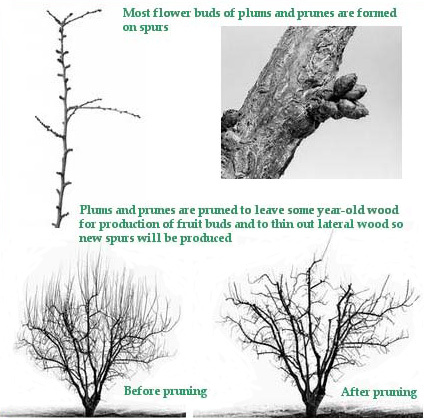 Some older spurs may be thinned out to reduce fruit set. New whip shoots should be pruned back by one-half to stimulate side branching, which is where the new fruit spurs will develop. Thin out the center of the tree to improve light penetration there.